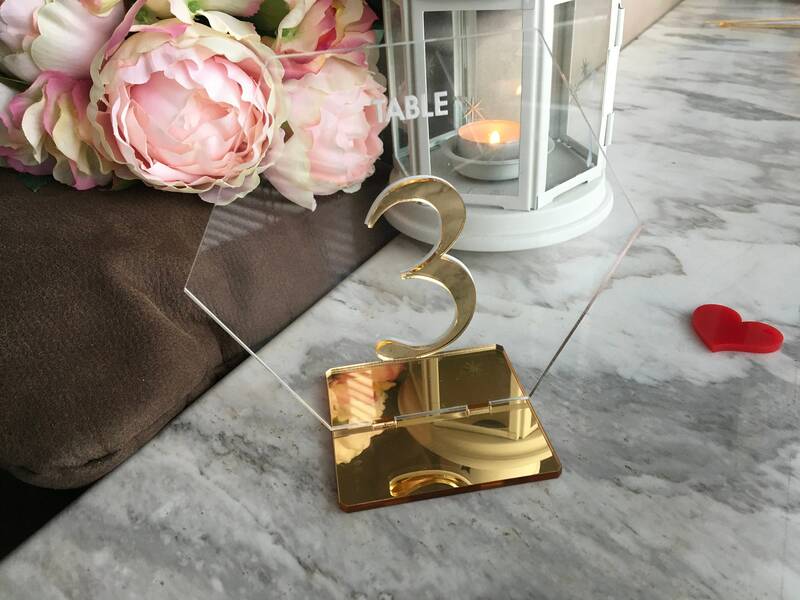 Table numbers made in Clear acrylic with engraved number at the back and color cutout in front. 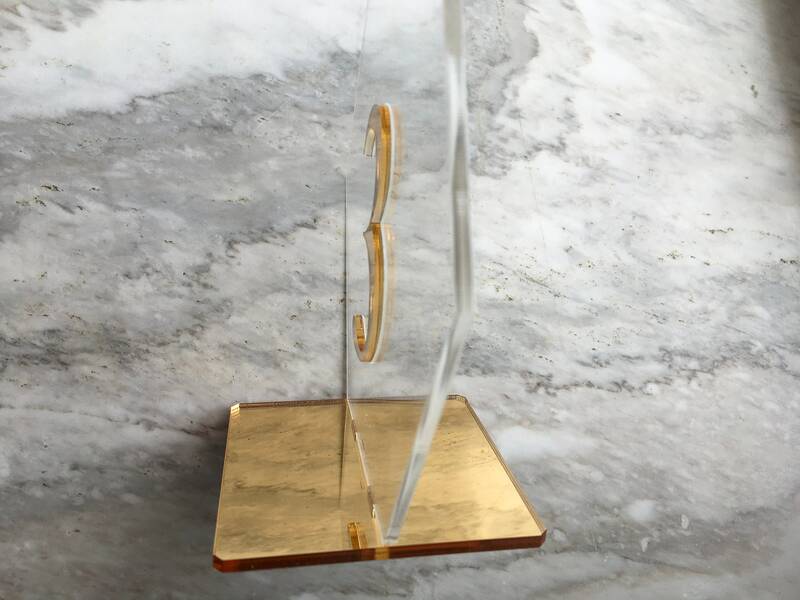 The engraving at the back can be only in white color and the number cutout in front can be any color from our color palette. 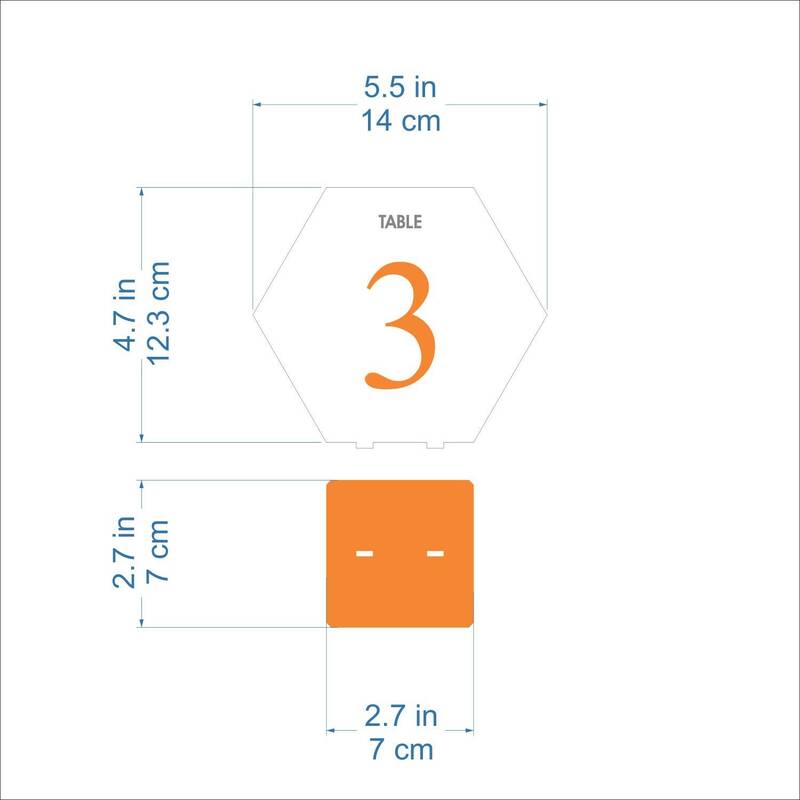 The base can be color coordinated with the color of the number cutout or any other color from our color palette. 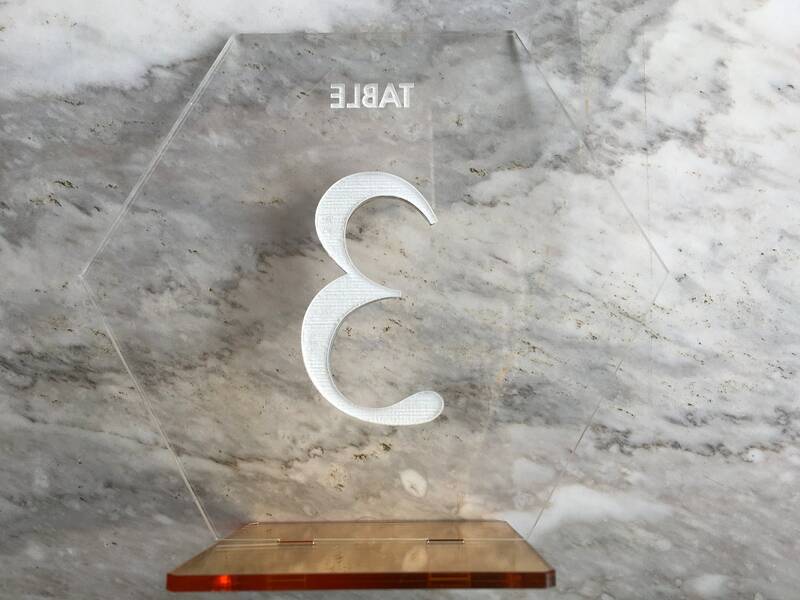 The table numbers insert into the bases with ease and are sturdy to stand. 1. 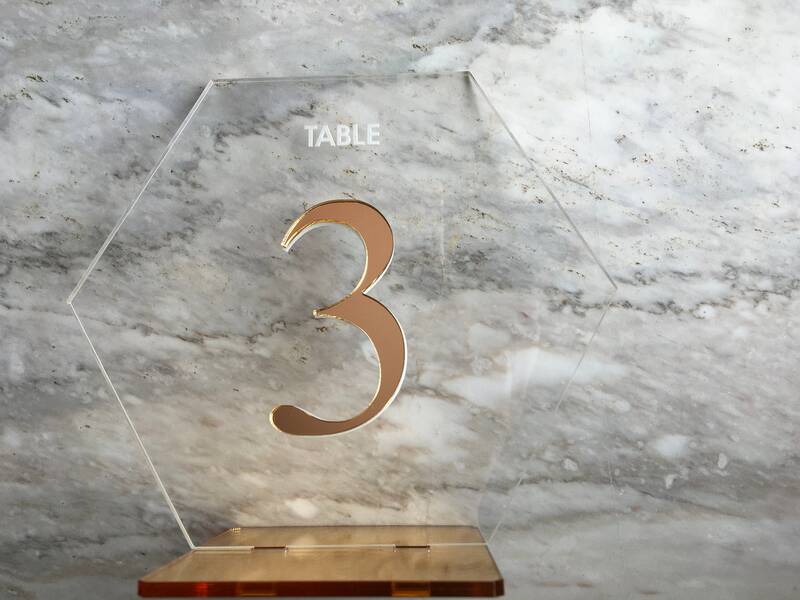 How many table numbers you want? Please choose quantity! 2. Choose base color and color for the numbers from drop down menu. 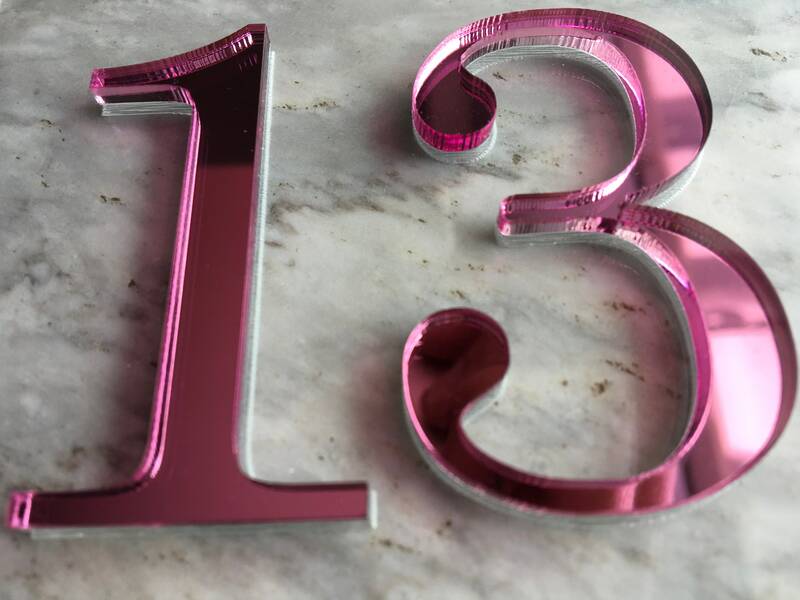 We can produce these table numbers in 1-3 business days after you order. Everything was amazing and as expected !! 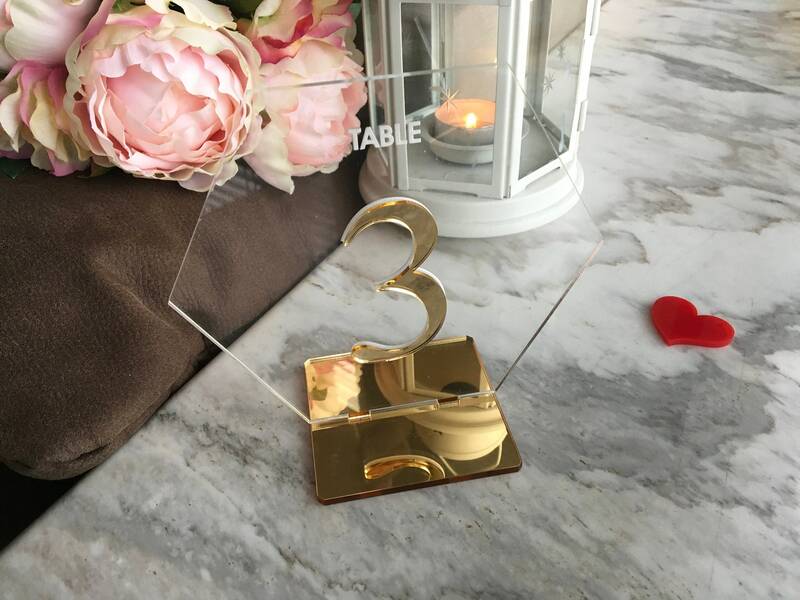 These table numbers were a perfect addition to the name place cards we got. 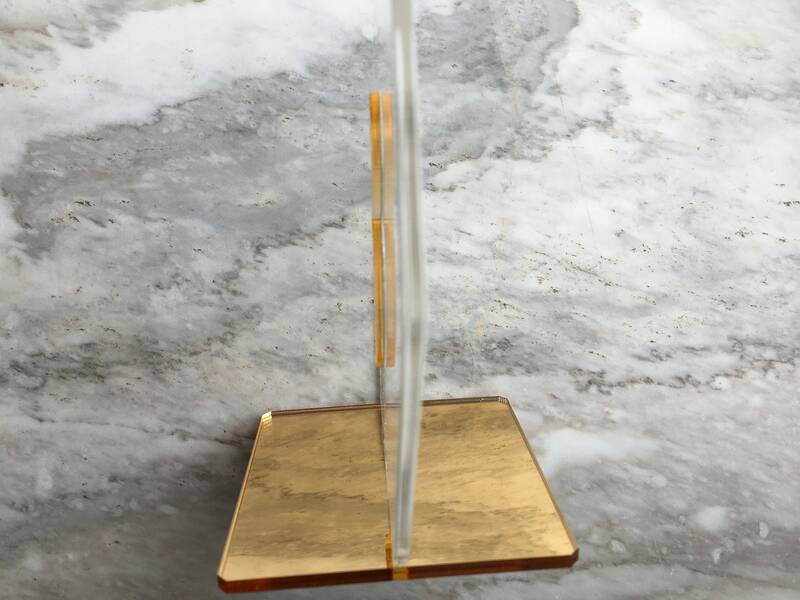 Beautifully made and sturdy! Communication and fast shipping as always with FranJohnsonHouse! Thank you!! IT WILL LOOK GREAT FOR MY WEDDING! !